Here’s a parenting truth I’ve come to learn over the years: Nap transitions are often tricky. Sometimes, they can be downright awful. 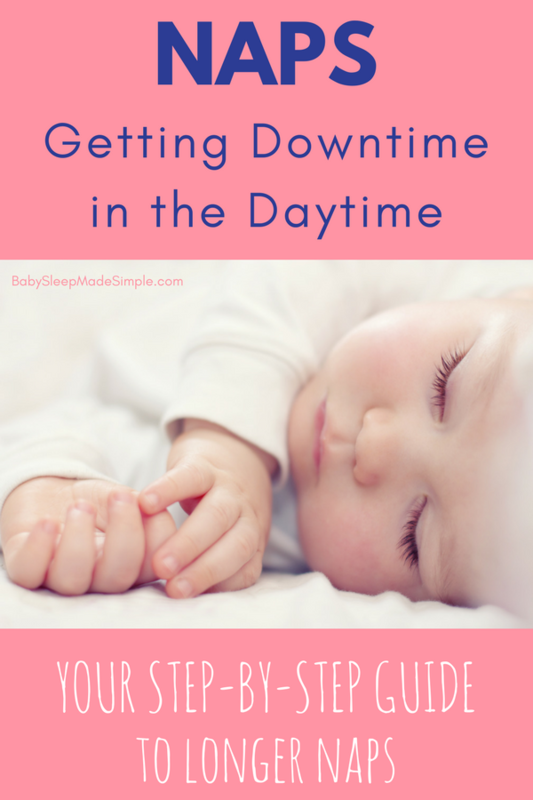 Deciding when the right time is for your baby to drop a nap can be confusing on the best of days. Sure, your 6-12 month old baby may be suddenly crying at nap time or taking shorter naps, but is this a sure sign that she’s ready to drop the third nap and settle into two naps each day? And if so, how does this affect bedtime and night sleep? when you follow a few important tips. Before I share these important tips with you, let’s first discuss IF your baby is ready to transition from 3 naps to 2. Your great sleeper is now waking throughout the night & staying awake for long periods. (She may be happily talking or playing.) This is often caused by too much daytime sleep. Having 3 naps makes baby wake before 6 am & isn’t able to fall back asleep. Also caused by too much daytime sleep. ∗ Some of the above should be occurring multiple times over multiple weeks before dropping a nap. • Day AND night sleep have recently worsened. Sudden disruptions to overall sleep are usually due to travel, sickness, teething or a sleep regression. (There can be FOUR regressions between 6-12 months….sigh.) Rather than changing your baby’s nap schedule, it’s best to keep baby on a consistent routine until this passes. • Your baby is going through a big development. Is your little one trying to sit up, stand or crawl? A surge in brain development happens during developmental milestones (like learning to stand) and this often coincides with another part of development regressing (like sleep.) It’s hard to change habits during a regression, so better to wait it out a few days until baby is standing or crawling with ease. • Is baby sprouting a new tooth? Babies experience teething differently. Some sleep right through it while others wake often due to discomfort. If your baby is fussy, drooling and is having trouble sleeping, give a bit of TLC and wait 1-2 days for the pain to pass. Research has shown fussiness, drooling, runny nose, loss of appetite and sleep disturbance can be associated with tooth eruption. For babies younger than 6 months, short and unpredictable napping is common and not worth stressing over. What’s most important for young babies is to nap often. Once your baby reaches 6 months AND is sleeping well at night, we can work on extending naps. If your older baby is a serial cat napper, my naps program will guide you through getting your baby to take long, restful naps everyday. In order to drop your baby’s 3rd nap, the other naps need to be long. Ideally morning and afternoon naps are each 1-2 hours. If your baby tends to have one long nap of 1.5-2 hours and another 45 minute nap, that can be ok too. It’s better if the afternoon nap is the longer one. This helps baby make it to bedtime without becoming frazzled. Most babies napping twice per day settle into a bedtime of 6-7 pm. When moving your baby’s bedtime, it’s best to go slowly. This article walks you through changing your baby’s bedtime. 6-8 month olds need awake times of 2-3 hours. 9-12 month olds need awake times of 2.5-3.5 hours. Typically, the shortest awake time of the day is between morning wake up and your baby’s first nap. Each awake time gets longer by 15-30 minutes. If this is too much for you to keep up with, stick to a consistent awake time throughout the day. For example, keep all awake times at 2.5 hours for your 7 month old. If your baby is used to shorter awake times, push naps later by just 10-15 minutes every 2 days and see how she responds. Once your baby is ready to drop the 3rd nap, wean her off it slowly. Limit her 3rd nap to 20 minutes for one week. Then cut it down to 15 minutes the next week. Some babies might need a 10 minute cat nap as well. I find it’s easiest to have this 3rd cat nap in the stroller, car or baby carrier. As you wean off this nap, keep adjusting bedtime slightly to ensure you’re sticking to the recommended awake times. As your baby lengthens naps 1 & 2, the 3rd nap may push bedtime too late. If that’s the case, skip the 3rd nap and move bedtime earlier. In my years working in the pediatric hospital setting, we always measured progress by the week, never by the day. Simply put, when deciding if something is truly a new trend (and worth freaking out over) make sure it’s been happening for many days. A helpful tips I give clients of my naps program is to put a note on your fridge every Sunday. Quickly jot down how many naps your baby is taking and for how long. Each Sunday, have a look at last week’s note. This helps you see real patterns. Most nap transitions take a few weeks. You may have to give some 3-nap days and some 2 nap-days as your baby works through this transition. By paying attention to your baby’s awake times, nap lengths and moving bedtime earlier, you can glide through this nap transition without tears, frustration or pulling your hair out! In my opinion, nap transitions are a GOOD thing because they consolidate your baby’s naps. And consolidated naps means LONGER naps. I dare you to find me a parent that doesn’t love long naps! Need More Help With Your Baby’s Naps? Check Out My Naps Program! Hi there! This article explains the 3-2 Nap transition very well. I’ve currently got an almost 9 month old and I need to drop the 3rd nap, but I’m stuck with a 5:40 am wake time from the third nap causing too late of a bedtime. She is capable of sleeping 12 hours (until 7:30 am), like she was last week, but we had one bad nap and now we are stuck on 3 naps again. I’m going to try the things you mentioned about pushing naps 1 and 2 further apart and only letting the 3rd nap be 15 minutes and then 10 minutes in a few days. Does decreasing the 3rd nap length ultimately lengthen the two naps the next day? I just feel I’m in a viscous cycle. Wake 5:40 am, Nap 1- 8:30-9:40, Nap 2- 12:40- 1:25, Nap 3- 4:15-4:30, Bedtime 7:45. Any other helpful tips to get that second nap to lengthen? Yes the third nap can often push bedtime later, resulting in early wake ups. I’d drop it now and try awake times of 3/3.5/3.5-4 for 1-2 weeks and see how baby adapts. I’d also limit TOTAL nap hours to 3 hours. This should help extend naps and result in later morning wake ups.